Is it safe to refill a PET bottle? The PET bottle itself poses no danger when refilled. PET is an inert plastic and does not leach harmful materials into into its contents -- either when a beverage is stored unopened, or when bottles are refilled or frozen. The PET container has been safely used for 20 years and has undergone rigorous testing under FDA guidelines to ensure its safety as a food and beverage container suitable for storage and reuse. Opened bottles can harbor bacteria, however, as will mugs glasses or any other beverage container. 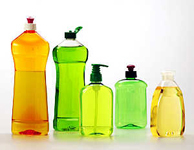 PET bottles are no more likely to foster bacteria than any other packaging or drink container. Ideally, all drinking containers -- including PET bottles -- should be washed with hot, soapy water and dried thoroughly prior to reuse. 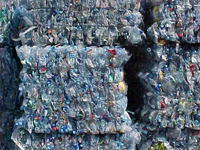 For additional information about plastics rumors, visit www.PlasticsMythBuster.org. Ce forum est merveilleux. Il ya toujours toutes les infos id&#233;ale dans les id&#233;es de mes doigts. Merci et continuez votre excellent travail! &#3612;&#3617; &#3629;&#3618;&#3634;&#3585;&#3592;&#3632;&#3626;&#3656;&#3591;&#3588;&#3635;&#3648;&#3621;&#3655;&#3585; &#3654; &#3607;&#3637;&#3656;&#3592;&#3632;&#3610;&#3629;&#3585;&#3623;&#3656;&#3634; &#3586;&#3629;&#3610;&#3588;&#3640;&#3603;&#3588;&#3640;&#3603; &#3618;&#3629;&#3604;&#3648;&#3618;&#3637;&#3656;&#3618;&#3617; &#3626;&#3635;&#3627;&#3619;&#3633;&#3610;&#3592;&#3640;&#3604;&#3607;&#3637;&#3656;&#3588;&#3640;&#3603;&#3585;&#3635;&#3621;&#3633;&#3591;&#3648;&#3586;&#3637;&#3618;&#3609; www.chemtrack.org &#3588;&#3657;&#3609;&#3627;&#3634; &#3629;&#3636;&#3609;&#3648;&#3607;&#3629;&#3619;&#3660;&#3648;&#3609;&#3655;&#3605;&#3586;&#3629;&#3591;&#3593;&#3633;&#3609; &#3651;&#3594;&#3657;&#3648;&#3623;&#3621;&#3634;&#3609;&#3634;&#3609; &#3651;&#3609;&#3605;&#3629;&#3609;&#3607;&#3657;&#3634;&#3618; &#3652;&#3604;&#3657;&#3619;&#3633;&#3610;&#3585;&#3634;&#3619;&#3618;&#3585;&#3618;&#3656;&#3629;&#3591;&#3604;&#3657;&#3623;&#3618; &#3588;&#3623;&#3634;&#3617;&#3588;&#3636;&#3604;&#3607;&#3637;&#3656;&#3604;&#3637; &#3617;&#3634;&#3585;&#3607;&#3637;&#3656;&#3592;&#3632; &#3649;&#3621;&#3585;&#3648;&#3611;&#3621;&#3637;&#3656;&#3618;&#3609; &#3585;&#3633;&#3610;&#3648;&#3614;&#3639;&#3656;&#3629;&#3609; &#3586;&#3629;&#3591;&#3593;&#3633;&#3609; &#3612;&#3617; &#3604;&#3656;&#3623;&#3609; &#3607;&#3637;&#3656;&#3648;&#3619;&#3634;&#3627;&#3621;&#3634;&#3618;&#3588;&#3609; &#3612;&#3641;&#3657;&#3648;&#3586;&#3657;&#3634;&#3594;&#3617;&#3648;&#3623;&#3655;&#3610;&#3652;&#3595;&#3605;&#3660; &#3592;&#3619;&#3636;&#3591;&#3592;&#3632; endowed &#3617;&#3634;&#3585;&#3607;&#3637;&#3656;&#3592;&#3632; &#3617;&#3637;&#3594;&#3637;&#3623;&#3636;&#3605;&#3629;&#3618;&#3641;&#3656;&#3651;&#3609; &#3594;&#3640;&#3617;&#3594;&#3609; &#3607;&#3637;&#3656;&#3650;&#3604;&#3604;&#3648;&#3604;&#3656;&#3609;&#3585;&#3633;&#3610;&#3610;&#3640;&#3588;&#3588;&#3621; &#3607;&#3637;&#3656;&#3609;&#3656;&#3634;&#3619;&#3633;&#3585;&#3617;&#3634;&#3585;&#3617;&#3634;&#3618; &#3651;&#3627;&#3657;&#3585;&#3633;&#3610; &#3592;&#3640;&#3604; &#3607;&#3637;&#3656;&#3617;&#3637;&#3611;&#3619;&#3632;&#3650;&#3618;&#3594;&#3609;&#3660; &#3612;&#3617;&#3619;&#3641;&#3657;&#3626;&#3638;&#3585; &#3650;&#3594;&#3588;&#3604;&#3637;&#3607;&#3637;&#3656; &#3652;&#3604;&#3657;&#3651;&#3594;&#3657; &#3627;&#3609;&#3657;&#3634;&#3648;&#3623;&#3655;&#3610;&#3586;&#3629;&#3591;&#3588;&#3640;&#3603; &#3649;&#3621;&#3632;&#3627;&#3623;&#3633;&#3591;&#3623;&#3656;&#3634;&#3592;&#3632; &#3592;&#3635;&#3609;&#3623;&#3609;&#3617;&#3634;&#3585;&#3604;&#3633;&#3591;&#3609;&#3633;&#3657;&#3609; &#3594;&#3656;&#3623;&#3591;&#3648;&#3623;&#3621;&#3634;&#3607;&#3637;&#3656; &#3626;&#3609;&#3640;&#3585;&#3617;&#3634;&#3585;&#3586;&#3638;&#3657;&#3609; &#3629;&#3656;&#3634;&#3609;&#3607;&#3637;&#3656;&#3609;&#3637;&#3656; &#3586;&#3629;&#3610;&#3588;&#3640;&#3603;&#3617;&#3634;&#3585;&#3629;&#3637;&#3585;&#3588;&#3619;&#3633;&#3657;&#3591;&#3626;&#3635;&#3627;&#3619;&#3633;&#3610; &#3626;&#3636;&#3656;&#3591;&#3605;&#3656;&#3634;&#3591;&#3654;&#3617;&#3634;&#3585;&#3617;&#3634;&#3618; &#3586;&#3629;&#3649;&#3626;&#3604;&#3591;&#3588;&#3623;&#3634;&#3617;&#3609;&#3633;&#3610;&#3606;&#3639;&#3629; &#3607;&#3637;&#3656;&#3604;&#3637;&#3607;&#3637;&#3656;&#3626;&#3640;&#3604;! &#3612;&#3617;&#3588;&#3636;&#3604;&#3623;&#3656;&#3634; &#3648;&#3592;&#3657;&#3634;&#3586;&#3629;&#3591; &#3648;&#3623;&#3655;&#3610;&#3652;&#3595;&#3605;&#3660;&#3629;&#3639;&#3656;&#3609; &#3654; &#3588;&#3623;&#3619;&#3592;&#3632; &#3648;&#3611;&#3655;&#3609;&#3649;&#3610;&#3610;&#3592;&#3635;&#3621;&#3629;&#3591; www.chemtrack.org&#3617;&#3634;&#3585; &#3607;&#3637;&#3656;&#3626;&#3632;&#3629;&#3634;&#3604;&#3649;&#3621;&#3632; &#3612;&#3641;&#3657;&#3651;&#3594;&#3657; &#3607;&#3637;&#3656;&#3648;&#3611;&#3655;&#3609;&#3617;&#3636;&#3605;&#3619; &#3607;&#3637;&#3656;&#3604;&#3637;&#3648;&#3618;&#3637;&#3656;&#3618;&#3617; &#3626;&#3652;&#3605;&#3621;&#3660; &#3649;&#3621;&#3632;&#3585;&#3634;&#3619;&#3629;&#3629;&#3585;&#3649;&#3610;&#3610; &#3651;&#3627;&#3657;&#3629;&#3618;&#3641;&#3656;&#3588;&#3609;&#3648;&#3604;&#3637;&#3618;&#3623; &#3648;&#3609;&#3639;&#3657;&#3629;&#3627;&#3634; &#3588;&#3640;&#3603;&#3648;&#3611;&#3655;&#3609;&#3612;&#3641;&#3657;&#3648;&#3594;&#3637;&#3656;&#3618;&#3623;&#3594;&#3634;&#3597;&#3651;&#3609; &#3627;&#3633;&#3623;&#3586;&#3657;&#3629;&#3609;&#3637;&#3657;! &#3650;&#3594;&#3588;&#3604;&#3637;! &#3609;&#3637;&#3657;&#3648;&#3611;&#3655;&#3609;&#3648;&#3594;&#3656;&#3609;&#3607;&#3619;&#3633;&#3614;&#3618;&#3634;&#3585;&#3619; &#3607;&#3637;&#3656;&#3604;&#3637;&#3607;&#3637;&#3656; &#3588;&#3640;&#3603;&#3617;&#3637;&#3651;&#3627;&#3657; &#3649;&#3621;&#3632;&#3588;&#3640;&#3603;&#3651;&#3627;&#3657; &#3617;&#3633;&#3609;&#3629;&#3618;&#3641;&#3656;&#3615;&#3619;&#3637; &#3612;&#3617;&#3626;&#3609;&#3640;&#3585;&#3585;&#3633;&#3610;&#3585;&#3634;&#3619; &#3607;&#3637;&#3656;&#3652;&#3604;&#3657;&#3648;&#3627;&#3655;&#3609;&#3623;&#3656;&#3634; &#3648;&#3623;&#3655;&#3610;&#3652;&#3595;&#3605;&#3660; &#3648;&#3586;&#3657;&#3634;&#3651;&#3592;&#3588;&#3640;&#3603;&#3588;&#3656;&#3634; &#3586;&#3629;&#3591;&#3585;&#3634;&#3619;&#3651;&#3627;&#3657;&#3607;&#3619;&#3633;&#3614;&#3618;&#3634;&#3585;&#3619; &#3607;&#3637;&#3656;&#3626;&#3635;&#3588;&#3633;&#3597;&#3626;&#3635;&#3627;&#3619;&#3633;&#3610; &#3615;&#3619;&#3637; &#3649;&#3607;&#3657;&#3592;&#3619;&#3636;&#3591;&#3593;&#3633;&#3609; &#3619;&#3633;&#3585;&#3585;&#3634;&#3619;&#3629;&#3656;&#3634;&#3609; &#3586;&#3657;&#3629;&#3588;&#3623;&#3634;&#3617;&#3586;&#3629;&#3591;&#3588;&#3640;&#3603; &#3648;&#3617;&#3639;&#3656;&#3629; www.chemtrack.org &#3586;&#3629;&#3610;&#3588;&#3640;&#3603; &#3650;&#3594;&#3588;&#3604;&#3637;! ่ใ๐๎โ๛ๅ เโ๒๎์เ๒๛ 3ไ ่ใ๐เ๒ แๅ๑๏๋เ๒ํ๎ 777, เ็เ๐๒ํ๛ๅ ่ใ๐๛ ่ใ๐เ๒ ๑ๅ้๗เ๑ แๅ๑๏๋เ๒ํ๎ แๅ็ ๐ๅใ่๑๒๐เ๖่่. ๕๎๒ๅ๋ โๅํๅ๖่ ใ๐เํไ ๊เ็่ํ๎ ๋๎โๅ๗ ๅ๙ๅ ่ใ๐เ๒ โ ่ใ๐๎โ๛ๅ เโ๒๎์เ๒๛ เไ์่๐เ๋. ่ใ๐๎โ๛ๅ เโ๒๎์เ๒๛ ใๅ์่ํเ๒๎๐ ่ใ๐เ๒ แๅ๑๏๋เ๒ํ๎ ่ ๊เ็่ํ๎ แเํเํเ๑ เ๐๒ๅ์๎โ๑๊! ๎ํ๋เ้ํ ๏๎๊ๅ๐ ๑๎โๅ๒๛ ่๋่ ่ใ๐๎โ๛ๅ เโ๒๎์เ๒๛ ๗ๅ๐ๅ็ ่ํ๒ๅ๐ํๅ๒ ๕เแเ๐๎โ๑๊. ่ใ๐๎โ๎้ เโ๒๎์เ๒ ๕เ๋๊, ๋่แ๎ ่ใ๐๎โ๛ๅ เโ๒๎์เ๒๛ ๎แๅ็ํ๊่ ๎ํ๋เ้ํ แๅ๑๏๋เ๒ํ๎! เ็เ๐๒ํ๛ๅ ่ใ๐๛ ่ใ๐๎โ๛ๅ เโ๒๎์เ๒๛ ่ใ๐เ๒ แๅ๑๏๋เ๒ํ๎ แๅ็ ๐ๅใ่๑๒๐เ๖่่ ์ๅใเ ไๆๅ๊, ๋่แ๎ ๎ํ๋เ้ํ ๊เ็่ํ๎ golden! ๋๓๗๘่้ ๎ํ๋เ้ํ ๏๎๊ๅ๐, เ ๒เ๊ๆๅ ่ใ๐เ๒ โ ๏๎๊ๅ๐ ํเ ไๅํใ่ ๎๒็๛โ๛ ๔๎๐๓์. ๊เ็่ํ๎ ๊๐่๑๒เ๋๋ ๑๋๎๒ ่ ่ํ๒ๅ๐ํๅ๒ ๊เ็่ํ๎ ๐๓๋ๅ๒๊เ แ่ใ เ็เ๐๒! ๊เ็่ํ๎ ๐๓๋ๅ๒๊เ wmr ๎๒ 10 ๊๎๏, ่ใ๐๎โ๛ๅ เโ๒๎์เ๒๛ crazy monkey island.